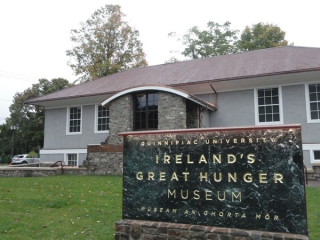 Ireland’s Great Hunger Museum at Quinnipiac University will celebrate the return of the museum’s permanent collection this coming week with a reception Thursday, April 11: In 2018, the museum’s collection of Famine-related art traveled to Dublin, Skibbereen and Derry for the exhibition, Coming Home:Art and the Great Hunger which was viewed by more than 110,000 people. a global political consultancy company established in 1998 following the Good Friday/Belfast Agreement: Yesterday, UK lawmakers defeated Theresa May's Brexit deal for the third time. 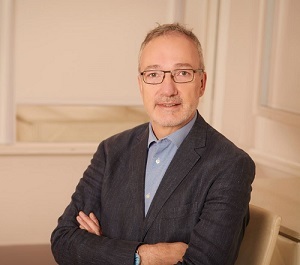 Quintin will lay out what’s next for Brexit and Ireland. The Great Irish Famine Voices Roadshow is touring the USA and Canada, bringing together Irish emigrants and descendants during the Great Famine of Ireland and after, from the mid-19th to the very early 20th century. 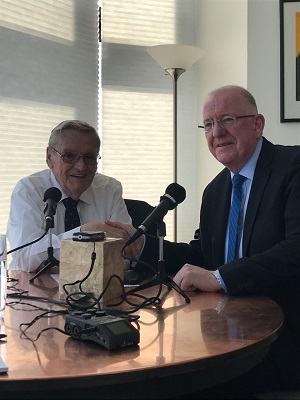 in NYC for political, economic, policing, justice, diaspora & UN engagements as part of the Irish Government’s St. Patrick’s Day program and joined the 258th NYC St.Patrick’s Day Parade, led by Grand Marshal, Brian O’Dwyer. 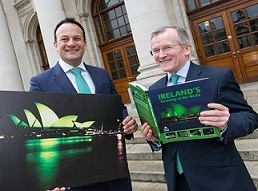 joins us from the Chicago St. Patrick's Day Parade with Ireland's PM An Taoiseach Leo Varadkar: To mark 10 successful years of Global Greening they launched a new book, called "Ireland’s Greening of the World".